Hours of operation: Monday, 1:00 to 3:00pm; Wednesday, 1:00 to 3:00pm; Sunday, 10:00am to 12:30pm; before Kabbalat Shabbat Services, 5:30 to 5:55pm. By appointment also. Call Robin Krumholz, 608-780-1982 or Ruth Hilsen, 678-642-7246. 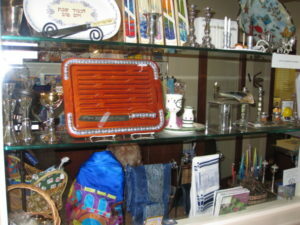 Our Judaica shop at Congregation Beth Yam carries both traditional as well as Judaica jewelry and gift items. 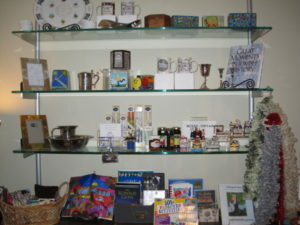 We carry a selection of greeting cards from Israel, Passover items for your table and your children including Seder plates, wine cups and puzzles, and origial serigraphs from a variety of Israeli artists. The shop is open during specific times, however, opening can be arranged on prior notice. 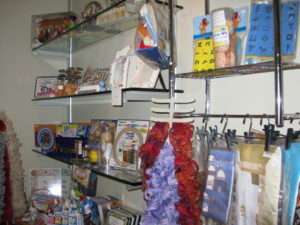 You can now buy Judaica Shop gift certificates for friends and family. Click here to get a printable order form or to link to an on-line order form payable by credit card. For further information please call the Beth Yam Office at 689-2178.